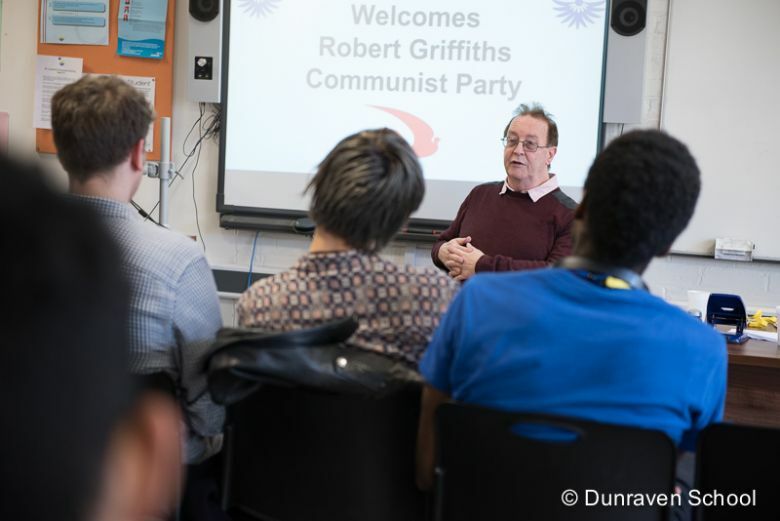 Last Monday, I was walking to my next lesson at Dunraven School when I saw a poster for a Q&A Session with Communist Party of Britain leader Rob Griffiths. I was of course very surprised to see the leader of the CPB come to our school, so despite being no fan of them and their revisionist policies, I went to the session. I went to the session after school and around 20 sixth-formers were there ready to ask questions but Rob Griffiths was not present. Everybody waited and waited, and he eventually turned up 25 minutes late. He began the session by saying a bit about his party, which started off with some bragging about how the CPB is the true successor to the original British Communist Party founded in 1920. He then went on to say that the CPB “was never a USSR fan club and is not a Cuba / China / DPRK fan club today”. To conclude his introduction, he briefly described the “British Road to Socialism” which was supposedly going to come about through a left coalition including the Green Party, a Jeremy Corbyn led Labour, and other left leaning parties. He then let the students ask questions, the first few of which were about what his views on women’s rights were and other questions which he clearly found very easy to answer. I wasn’t planning to ask a question, but since he was getting such an easy ride I decided to ask him to explain his position on Cuba and North Korea, to which he responded that they were not true socialist states! I asked him if there has ever been a socialist country he has approved of, but he dodged the question by saying that he wanted to get on to another subject. The next question was from a teacher who had decided to attend the session. His question was whether the CPB was even a Marxist party, observing that Rob Griffiths sounded just like a liberal, to which there were many chuckles and murmurs of agreement across the room. Rob Griffiths once again dodged the question before ending the session. I caught up with him on my way out to ask a few more questions, and when I told him about my membership of the CPGB-ML he completely switched off, and tried to get rid of me by offering me a free Morning Star. He went on to say that the CPGB-ML need to understand that Labour Blairites would love nothing more than if the trade unions stopped supporting them and the true Socialists left the party. He seemed too delusional to realise that working class voters only vote for Labour because of their pretence to be socialist. The most worrying thing was that most attendees walked away from the session believing that communist views included backing Labour, opposing socialist states around the world, and supporting imperialism. 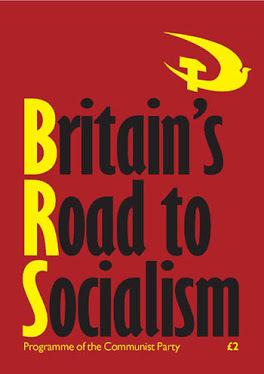 I think it would be a great idea if the CPGB-ML could have people do similar Q&A sessions in schools up and down the country to get people thinking about the way we live now and why communism is ultimately better for all of us, and I think it would attract more young members willing to contribute their ideas and help to the party. Today the enemies of the working class are more pervasive and cunning than ever. They are shrouded in ‘leftist’ organisations and mask their treachery with Marxist language while discarding or distorting revolutionary theory. 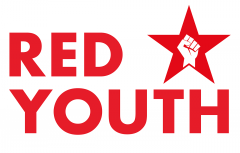 Thankfully we are finding more and more members, young and old, who have seen the revisionist organisations expose themselves working against the interests of the proletariat. We look forward to working with them to build the revolutionary movement in Britain!